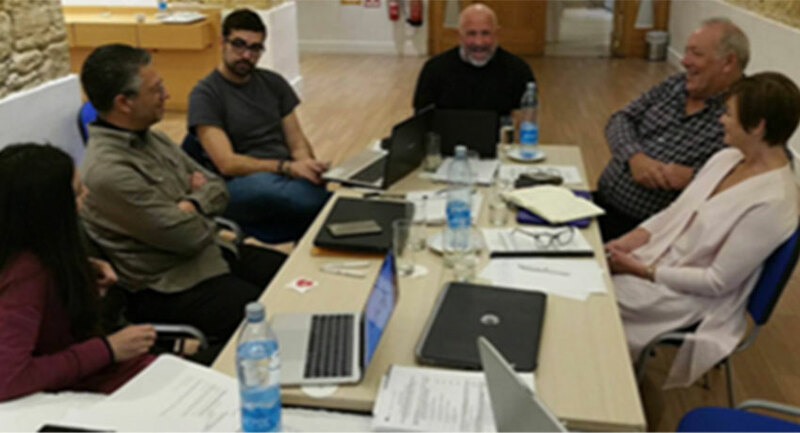 The kick-off meeting of the two-year ERASMUS+ project entitled: “Digital, Responsible Citizenship in a Connected World” took place at the Classic hotel, Nicosia in December 6th and 7th 2017. The DRC project aims to infuse contemporary pedagogical practices in quality lifelong learning for students and teaching professions including teachers, school leaders and teacher educators across Europe. The project’s consortium is comprised of 5 partners in 4 different European countries: CARDET, Future In Perspective, Tamat, 1st Primary School of Rafina, and INNOVADE. During the kick-off meeting, partners discussed the details of the project, including strategy, aims, activities, responsibilities and timeframe. The next transnational meeting of the consortium will take place in Ireland, in August 2018. This project has been funded by the ERASMUS+ KA2 – Cooperation for Innovation and the Exchange of Good Practices | KA201 – Strategic Partnerships for school education and started in November 2017.